I can’t quite call it to mind, but there must be some term, some euphemism, some managerialist spin, for the process whereby “they” (whoever they may be – the local Council, say, or the ECB ) prepare the way for abolishing something loved or needed by a minority by gradually reducing it to the point where it might as well not exist. Rural bus services are one example and it increasingly feels as though the County Championship is becoming another. If there is only one bus a day from a village then those who need it will be forced to find some other form of transport and if there are only four home Championship matches between May and August then those of us who can’t or won’t watch 20/20 cricket will be forced to look elsewhere for our days in the sun. When the service is scrapped altogether or there is no Championship cricket between May and August the response from those who would have fought the proposal can only be a weary shrug and a sigh of “what difference will it make?”. In June and July I have visited Grace Road twice and seen less than two days of cricket. 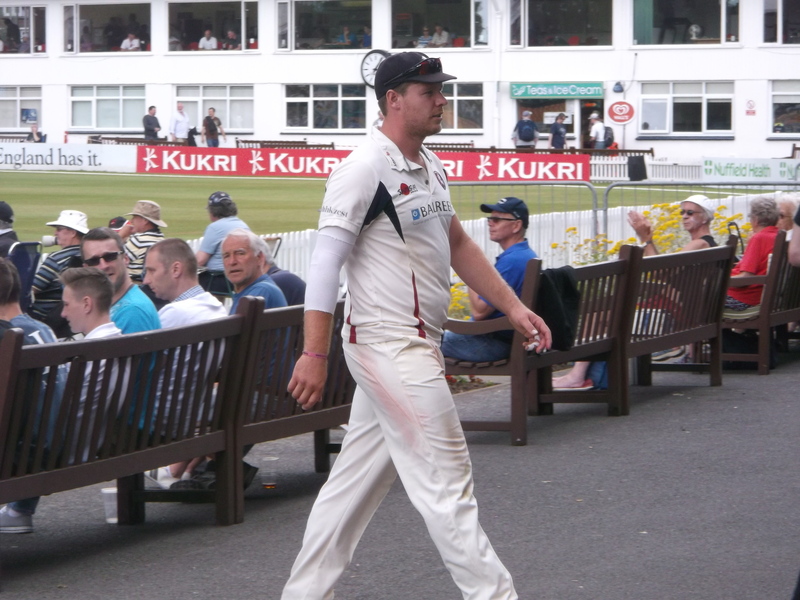 In June I caught the third day against Surrey (Leicestershire bowled out for 177, half way to the required total) and in July I was there for the first day against Kent. I wasn’t there for the third day (as I’d planned) because (if it hadn’t been for some rain) Leicestershire would have lost within two days. Instead, I watched an excellent day of Minor Counties cricket between Hertfordshire and Northumberland at Harpenden. This isn’t simply a question of Leicestershire being a load of rubbish (before you suggest that), it’s a question of T20 becoming the main event and Championship cricket a sideshow. The T20 fan could, in the same period, have seen seven home matches (and, with a little travel) seven more away ones. 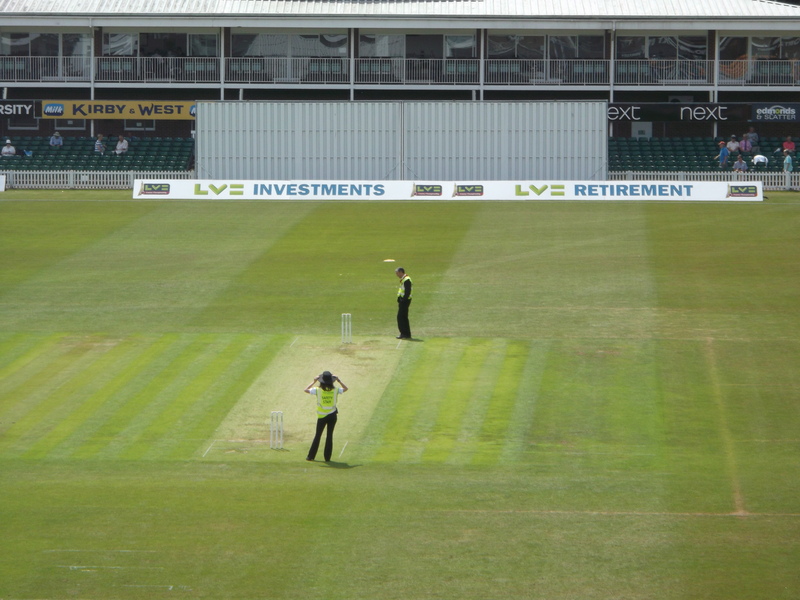 Cricket has become a regular fortnightly Friday night event in the way that football is on Saturdays from August to April (for largely the same audience) and, as it happens, Leicestershire have performed reasonably well this year in the shortest form. For them Grace Rd. is a home from home, for me it is becoming one of many grounds I visit occasionally throughout the season. Though they might deny it, I doubt the playing staff and the management of the club could seriously dispute that T20 is their main priority (as, in financial terms, it has to be) or that it has not affected their approach to Championship cricket. Leicestershire don’t have enough staff to employ format-specific players (only their best 4-day batsman, Angus (I think) Robson, hasn’t played T20 this season) and if most of their LVCC games end early it does help to provide a little breathing space for the weary troops (the match against Kent on a Sunday followed a T20 in Durham on Friday and another at Grace Rd. on Saturday). This might explain why we had prepared what, from Row Z, looked like an unusually verdant wicket (in the middle of a heatwave). and that wily old ex-fox Darren Stevens could skittle us, but it didn’t come off. Robson and a surely knackered Eckersley managed to take us to 80-1 before a middle order seemingly assembled on the basis of a late Friday night ring-round by the Captain (“know what you said about your Wife, Mate, but we’ve been let down at the last minute and I was wondering …”) demonstrated that, although the slash-snick may be a business stroke in T20, it’s less effective against a bowler of Coles’s pace on a sporting wicket with three slips and a gully in place. As I’ve said, the game just about crept into Tuesday morning before we lost by an innings. 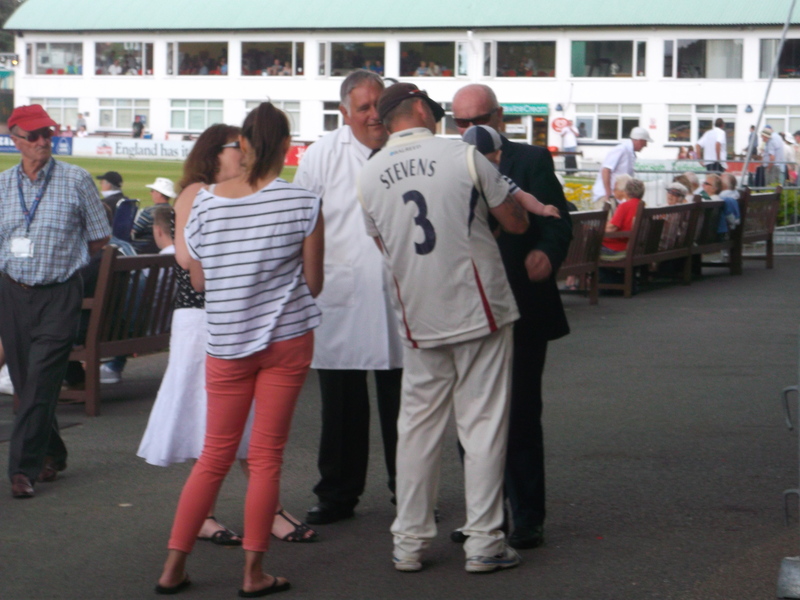 Kent played neither Adam Riley nor James Tredwell, by the way, nor did we play any of our spinners. I suppose there didn’t seem a lot of point. As I’ve also said, I spent my Tuesday watching the third and final day of an entertaining, evenly matched and hard-fought Minor Counties match at a pleasant (if noisy) ground instead, where the quality of cricket was not, to be honest, far below what I had been witnessing at Grace Road. “Sunsetting”, perhaps, or maybe “twilighting”. I seem to hear a low, melancholy, withdrawing roar. Though that could just be because the Meet has run out of Mr. Stew’s delicious chicken chasseur.